Our easy-to-use car payment calculator at INFINITI of Boerne can help you get an estimate on your auto loan rate or monthly car lease payments in the San Marcos or New Braunfels areas. Determine your purchase price for your INFINITI QX60 or INFINITI QX80 by filling out the fields below. If you have any questions about the estimated auto loan interest or lease payments for your new or used vehicle in San Marcos, please contact us! Our finance team will be happy to help. 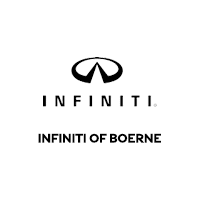 Or, if you’re ready to buy your favorite new INFINITI vehicle at your calculated car payment estimate, come visit us at INFINITI of Boerne!